Sunset Hill Stoneware is a family-owned company that produces hand-thrown pottery crafted to last a lifetime. SHS artists hand shape the stoneware and hand dip it into custom glazes. They use the finest clay and glazes materials available in America. Tom Dunsirn started this company in 1998 and owns it with his father Duane. Sunset Hill Stoneware is focused on being Earth-friendly. They have twenty-six computer-driven kilns and have implemented many lean and green initiatives. The 2400-degree heat generated from each kiln is reclaimed and dispersed throughout the facility to dry greenware, generate hot/warm water and heat the entire facility. Optimized LED lighting is used, mobile damp carts and traveling work stations were designed to reduce lifting and carrying, along with a continuous distribution stream of fresh air is circulated – all for the safety and comfort of employees. Each product category offers many different styles of their Signature StonewareTM. For example, within their mug collection, customers can select from more than 30 unique design styles. 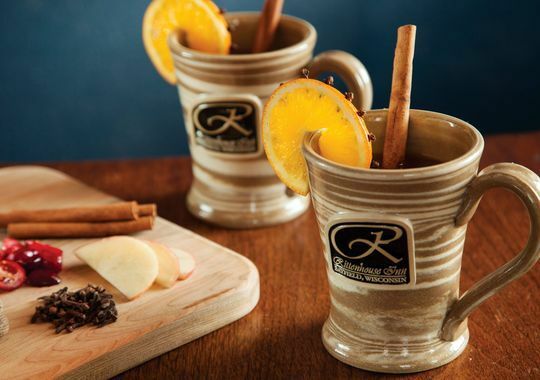 Sunset Hill Stoneware can really customize the pottery to exactly what their clients want. They can even add a name and logo to each piece of pottery. When SHS customers upload their logo online, an SHS account specialist will contact them directly to understand the product style and glaze colors that will reflect their needs. With that information, SHS graphic artists will transform the customer’s image into a high definition, 3-dimensional clay medallion on a virtual mock-up—ready for their approval. Once the artwork is approved, SHS artisans will hand throw the pieces, securely applying their logo to the chosen mug and/or stein style. Then they hand dip the pieces into selected glaze color and re-fire the pieces in 2400° kilns. This final firing creates durable pieces that are oven, microwave and dishwasher safe—and creates stoneware meant to last for generations. Finally, each piece is inspected for quality and shipped using custom-designed, 100% eco-friendly packaging to prevent breakage. Tom and Duane appreciate working together as a team and they have surrounded themselves with exceptionally talented artists who love making pottery. They separate themselves from those who mass produce because each quality American-made stoneware piece begins on one of their own pottery wheels. Sunset Hill Stoneware puts their heart and soul into making their exquisite pottery and each hardworking employee plays a key part in creating beautiful, functional products made to be passed down from generation to generation. Each customer is proud to be able to display their own name and logo on Sunset Hill Stoneware. Bed and breakfasts can not only use their pottery, but they may also sell it in their bed and breakfast shops as keepsakes for their guests.